Lucky Joy Lucas was a pioneer in the ski industry. Yes, her first name was Lucky, but we were the lucky ones as she settled on ski teaching and gave her time and talent to us. She passed peacefully on Black Friday – November 25, 2011. Joy will be remembered for a long list of firsts. She was the first woman ski instructor certified in the United States and on the Northwest’s first board of directors. She was the first Executive Secretary for the PNSIA (Pacific Northwest Ski Instructors Association) and set up the first office; which was a bedroom in an apartment just East of Sea-Tac Airport. This was a shared office with PNSA (Pacific Northwest Ski Association) and before that the Northwest Division was a committee of the PNSA. The first newsletter was run on a mimeograph and mailed from that office. We didn’t have zip codes then and zip codes later became another learning experience. Joy kept the balls in the air, keeping our membership in order. She became known with affection as our Mother Superior. She organized our Symposium events where we were placed into classes per our ability to handle slopes; at the time we were the only division to provide that kind organizing. We were a hard playing group and she kept some of us out of jail, literally. I remember a “lost bus” at a Bogus Basin Symposium one year. If you do not know the story you must ask a Legend or at least an old timer. Joy worked in the office year round, even when we were small. Summers were spent in review and organizing for the next year. When dues billings went out she was in full swing with Fall Seminars, ski school insurance billing, etc. It took three years to break someone in to help out as each thing we did usually only happened once a year. One year she fell and they said she would never walk again. The doctors didn’t know her strength of will and of course she was back up on the slopes. Not only did she teach, but she and her late husband Jim ran the Evergreen Ski School at Snoqualmie for 18 years. She knew our organization from all sides and that made her so very valuable to us. It Started on the Mountain was a book written by Joy. It was fun being on the committee with Joy, Kay Haley, and Willa O’Conner. The committee expanded as we went, but working from a picnic table on the water at Camano Island a book took shape. Many stories were told that wouldn’t or couldn’t make the book, but we loved every one one of them. If you have not read our organization’s history, pay tribute to Joy, purchase a book from the office and learn about our early years. Joy was a hard worker all of her life. Her father was a Forest Ranger and she grew up in the woods, coming to Seattle every winter to go to school. She modeled for local department stores and worked ski retail among other things. Joy gave birth to 4 children; one died at age two from tuberculosis and Michael, Katie and Dave still are here along with her grandchildren and great-grandchildren. Dave carries on the family’s PSIA-NW legacy; he’s a Divisional Clinic Leader, Alpine Examiner, past Technical Team member and past PSIA-NW President. Joy served other people and enjoyed doing that. She passed away from pneumonia brought on by a small stroke that knocked out a flap in her esophagus that controls where the air and food go. There will be a private family service at Chinook Pass to celebrate her life when the snow is gone in the Spring 2012. Remembrances can be made to the charity of your choice. Joy Piles Lucas born February 15, 1917, in Spokane Wash. Passed away Nov. 25, 2011. Her parents were in the Forest Service and she spent every summer at the Barlow Pass Ranger Station, near Monte Cristo and Big Four before coming to Seattle. She attended Broadway High School, where she was very active in activities, being Treasurer of the Girl’s Club, awarded the Rene B. Raymond award for the most outstanding girl athlete as well as the Candle Log award for outstanding girl student. Joy was Executive Secretary for the Broadway High School Alumni Association for more than 15 years. She was honored to be placed in their Alumni Hall of Fame. In 1938, she made her first trip skiing to the Milwaukee Ski Bowl, (now Hyak). On the train home, she met Jim Lucas – they made a bond, he taught her to ski and they were married the following year. Joy became the first woman in America to become a Certified Ski Instructor in 1941. She and Jim ran the Deer Park Ski Lodge and ski school in the Olympics in 1940, then taught with the Seattle Times Free Ski School in 1941-42. They managed the Milwaukee Ski Bowl the year after the War, then taught at Snoqualmie Pass for 27 years, including directing their own Evergreen Ski School for 18 years – then to Ski Acres for another 14 years, teaching and training instructors for the Ski Acres Ski School. She taught for more than 50 years. She taught until she was 75 and skied until she was 80. 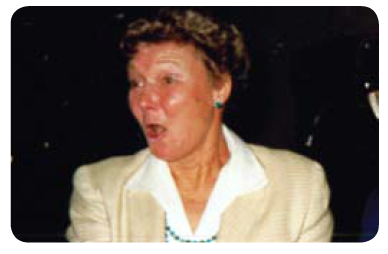 Joy was one of the founders of the Pacific Northwest Ski Instructors Association (later PSIA-NW) and served with their board for nearly 30 years. She was Executive Secretary for the Professional Ski Instructors of America (PSIA-NW) for over 16 years and organized their Symposiums for more than 25 years. She was “Momma” to all the ski instructors in the Northwest. Her awards: Ski instructor of the Year – the Legend Award – and inducted into the Northwest Ski Hall of Fame in 1992. She was honored by the International Skiing History Association for her book, “It Started in the Mountains”, a history of skiing and ski instruction in the Northwest. In 2006, she authored, “Ancient Skiers of the Pacific Northwest”, a history of skiers who skied Mt. Rainier prior to World War II. Joy is survived by her children, Dr. Michael Lucas (Cindy), Kate Lucas and Dave Lucas (Marla), 6 grandchildren and 6 great grandchildren. Remembrances may be made to charity of personal choice. Joy, the name says it all. When I first decided to get into the profession, and test for certification later that year, her voice was on the other end of 206-244-8541. I had the blessing of working with her a few years later, the mentoring was priceless. In situations that occurred decades later, I recalled her leadership methods and applied them. Although I only worked with her a few seasons I could go on for hours about her. Her influence will be felt for a long time. Thanks for being with us as long as you were. Joy Lucas was one of the people that taught me how to teach skiing in the late 70’s for what was then Northshore Ski School, and later became Ski Acres Ski School (owned and operated by John Mohan). To this day, I can still hear her voice, teaching new instructors how to teach, during the first clinics of the year! Her voice was loud and we could hear her from a distance! I was fortunate enough to get to work with Joy for from the late 70’s to 1989 (I then moved to Alaska). She and her husband Jim Lucas were a core part of our ski school. When thinking back on my memories of that time, Joy and Jim were a part of the fabric of our ski school. She touched so many people’s lives, and will be missed greatly.